I have a tendency to map in great detail...even when it is unwarranted or relates to a largely inconsequential stratigraphic situation. This problem is proportional to the quality of the base imagery that I have or the intrigue-level of the units in the field. 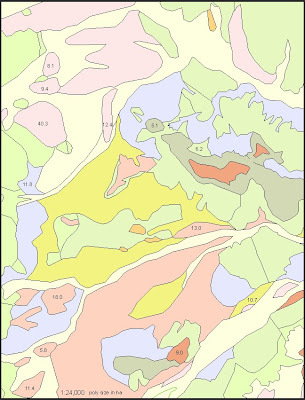 However, in my quest to lead the effort to develop a surficial geologic map 10,000 sq. km. 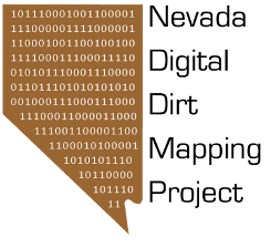 of dirt in Clark County in a compressed time frame, I am learning that it is ok not to sweat the details, as long as you explain what comprises the mapped units. One thing that we have learned is that it is essential to develop an agreed-upon minimum map unit area (mmu). That is, the smallest polygon that is mappable at the chosen scale. As far as I can tell, geologists are not very keen on the mmu, whereas the dirt mappers in the NRCS have codified the concept in their considerably more standardized procedure. We have adopted a visual approach that is based on the basic legibility of a polygon at a specific scale, and have concluded that 10 hectares is a good minimum value to start with. Ten hectares covers 100,000 square meters...or a square that is approximately 316 meters on a side. Sounds kinda big, looks quite big in the field, and certainly looks mappable at 1:24,000. However, if you zoom out to 1:100,000, the story changes. The map below shows a random area in the county at 1:24,000. A selection of polygons is labeled with respect to size in hectares. Now the story is different. Not only are the small polygons bordering on illegible, the scale of the task of mapping such small polys consistently in a reasonable amount of time is impractical without a huge expenditure of time. There are some side effects of eliminating units below a certain size threshold. One is data loss. That will be handled by preserving the small polys as points. Thus their locations will be stored as will their attributes. This solution can also facilitate the mapping process by flagging those polys that need to be absorbed into larger, surrounding or adjacent ones. One other problem is the case of high-standing inselbergs. Some of these are very tiny, but protrude several meters above the surrounding surficial deposits. Thus, their omission is particularly notable when in the field. 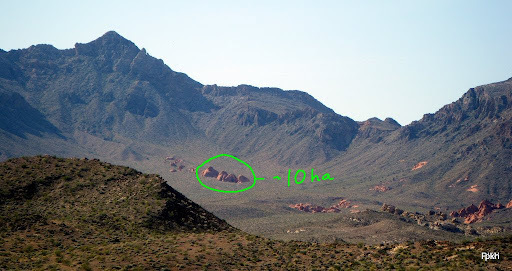 For example, in the photo below, the fairly conspicuous cluster of red sandstone inselbergs has an areal extent of approximately 10 ha. 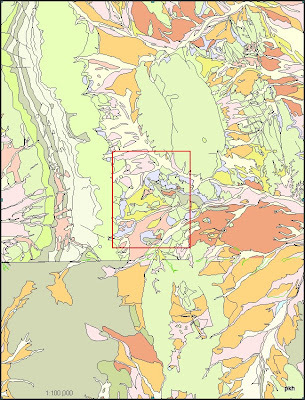 Not mapping such a feature may seem like a total affront to the sensibility of a geologist, but there will be a point there in the dataset that indicates an awareness of the feature's existence.